Your chance to help end this scam. 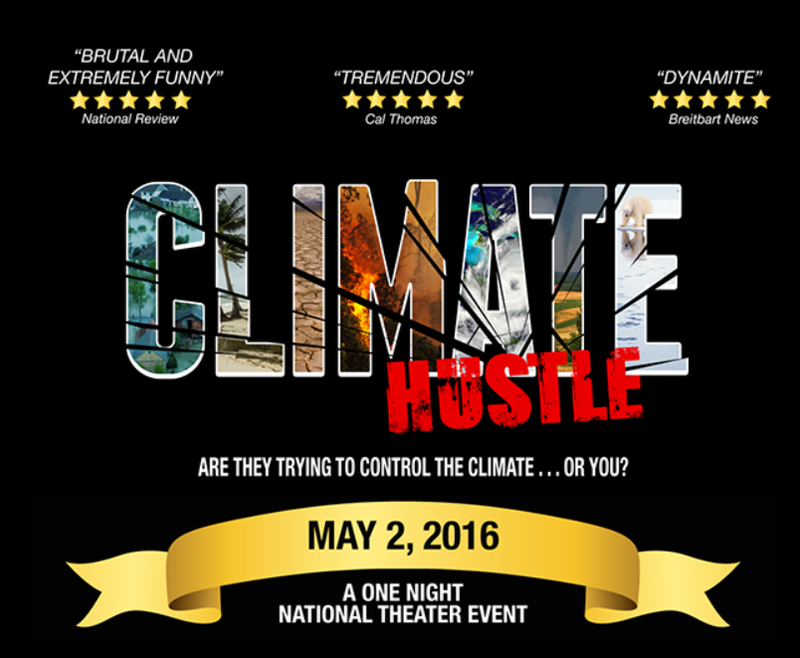 Next Monday night (May 2) is a one night showing of Marc Morano’s movie Climate Hustle in 400 theaters across the US. If the showing gets a big turnout, there may be repeat performances. The movie is very entertaining and shows how ridiculous the climate scam is. We need as many people as possible to see this ahead of the election. Please buy your tickets in advance, and help fill the theaters up.